What child hasn’t suffered through the torture of a horrific cold? The misery of achy sinuses? The hopeless yearning for relief? Who does a child turn to when plagued by such painful distress? You got it. Mom. That’s it. No one else will do. Authors Liz Garton Scanlon and Audrey Vernick, with illustrator Matthew Cordell nailed this exasperating, snot-filled scenario to a tee! Their BOB, NOT BOB! (Disney Hyperion, 2017) is a delightful story about Little Louie, a boy who is afflicted by the worst cold ever. Because his nasal cavities are swollen with mucus, Little Louie’s plugged-up calls for Mom sound more like Bob, which happens to be the name of his devoted, slobbery dog. Frustration adds to agony as every time Little Louie pleads for his loving mother’s care his goofy, fun-loving Dalmatian arrives ready to play. And, when this happens, everyone is miserable! I invite you to take a look at the Standards-aligned Educator’s Guide crafted for BOB, NOT BOB! It’s formatted more like a press-release, and yet it is comprised of contents that educators and at-wits-end parents will find useful. 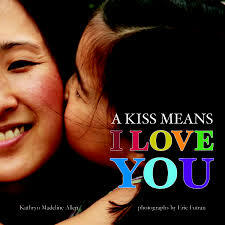 Functional and fun, this guide is the perfect complement for one of the most charming books I’ve read in a long time. Click here to download the Common Core State Standards aligned Discussion & Project Guide created for grades K-3. 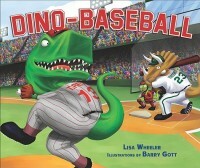 Overview: Play-by-play sports action series of picture books for 4-8 year olds featuring teams of Carnivorous dinosaurs against plant-eating dinos (Good Reads). Click here to download the Common Core State Standards aligned Discussion & Project Guide created for ages 5 to 9. Overview: A time or two ago, out West Texas way, a boy named Charles Hardin Holley was born. He was named after his granddaddy Charles and his granddaddy Hardin. But his mama called him Buddy. That Buddy could shoot marbles with the best, hit homers in the red dirt, and pelt cans with his slingshot. 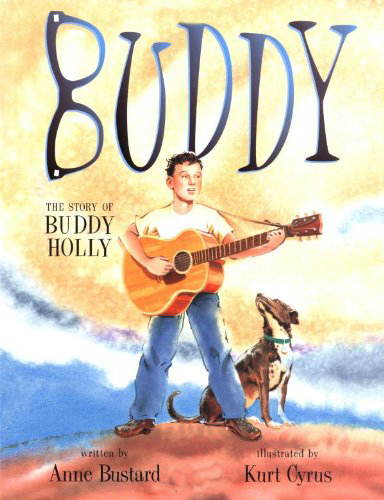 But come sixth grade, when Buddy met up with a guitar, he never let it go. And later, when Buddy heard a new sound--part country, part gospel, and part blues, he got fired up. It was the birth of rock 'n' roll. Click here to download the Common Core State Standards aligned Discussion & Project Guide and Reader's Theatre created for ages 4 to 8. Overview: Opposites attract and become fast friends in this quirky, funny picture book. Click image to access publisher's pageA Cool Summer Tail presents animal environmental adaptation facts in a fresh and original way. Author Carrie Pearson inhabits the minds of young animals as they question how humans stay cool in the summer. The questions the animals pose are based on their own seasonal adaptation methods, means by which children might find comical to consider for themselves. For instance, a baby fox asks his mother if humans stay cool in the summer by hanging out their tongues and panting. Baby bees ask if humans cool their hives by using their wings to blow in air, thus helping the Queen to survive. Baby hummingbirds wonder if humans migrate in search of a cooler summer home. In the end, a boy asks his mother if animals splash in a swimming pool to stay cool. Click image to access publisher's pageA Warm Winter Tail (winner of the 2013 Gelett Burgess Award) is the companion piece for A Cool Summer Tail, in which the same delightful winter adaptation juxtaposition consideration takes place. In it, baby deer wonder if humans grow hollow hair to keep warm in the winter. Baby frogs ask if human body parts freeze. Baby bears ask if humans get plump and sleep in a lump. A young boy asks his mother if animals stay warm by bundling up in scarves, jackets, and boots. He is assured that their bodies know how to stay warm in the winter. No need for buttons or bows. 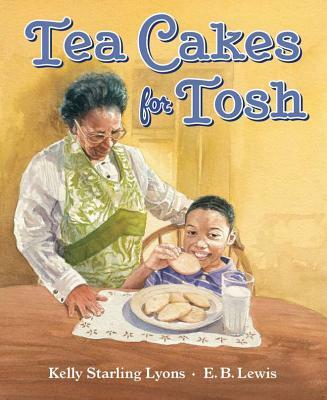 In addition to the plethora of free online offered on the publisher’s website, the final pages of both books include four pages of rich learning activities. These lessons paired with Illustrator Christina Wald’s lovely detailed work and Pearson’s intriguing text will undoubtedly enhance any study of the natural world and the incredible creatures that inhabit it.